If it’s November on the cross country calendar, that must mean the Seattle Pacific women are headed to the NCAA West Regional championship meet. For the 14th November in a row, that’s exactly where the Falcons were going, this time to Billings, Montana. 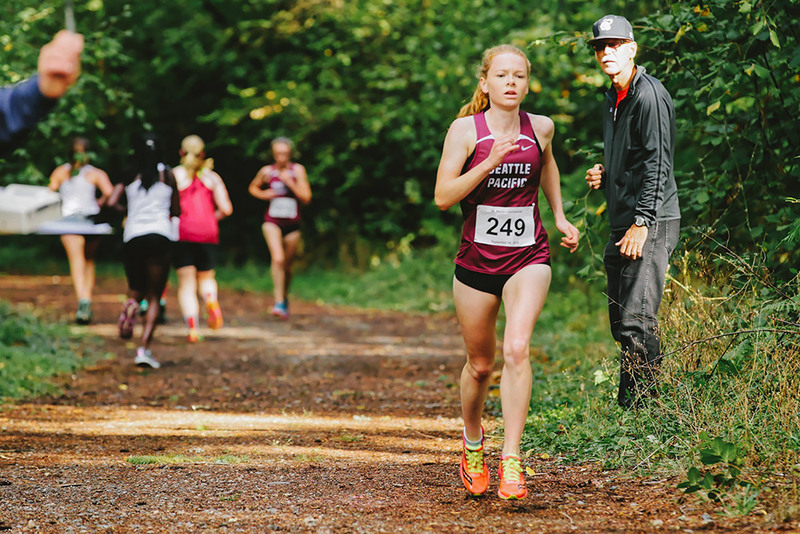 SPU secured its spot to race with the West Coast’s best teams by placing third at the Great Northwest Athletic Conference Championships on October 22 in Bellingham. Junior Mary Charleson, from nearby Mill Creek, won the season-opening Humboldt State Invitational in California, surging from behind in the final 100 meters of the 6-kilometer race. 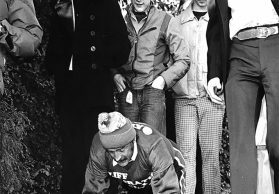 She also was fourth at GNAC. Senior Sarah Macdonald, from Tucson, Arizona, was a top-5 finisher in the three regular-season meets, and was on the cusp of it at conference, placing sixth. Behind them, senior Hannah Calvert has been a steady, consistent leader of the Falcons’ pack. Ben Halladay, a junior, set the pace for the SPU men throughout the season, with a top-20 finish at Humboldt, followed by a top-10 performance at the Saint Martin’s Invitational. Heading into November, the Falcon women’s soccer team has qualified for another trip to postseason play. A solid stretch of 10 games from mid-September through mid-October (six wins, one loss, three ties) and then a three-match unbeaten streak (two wins, one tie) to end the regular season helped send them to the GNAC Tournament, and potentially a 14th straight NCAA Tournament. 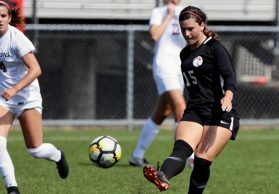 Heading into the final few weeks of the season, senior forward Hannah Huesers had become the second-leading scorer in school history, pushing her total to 45 goals. 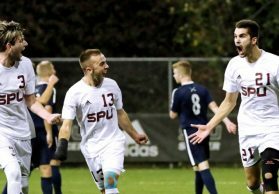 The men’s soccer team gave Mark Collings his 100th SPU coaching victory with a 2–1 decision at Saint Martin’s on October 29. 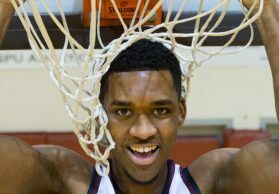 Along the way to that milestone, the Falcons scored big victories at home in September against regional rivals Colorado Christian and Metro State. Senior forward Stephen Macdonald and junior forward Gabe Kellum were at the front of the SPU scoring parade. Even with a very young group, Seattle Pacific was going toe-to-toe against some of the top volleyball teams in the GNAC. That included taking nationally ranked Western Washington to five sets before falling just short, and splitting a pair of five-setters with 2015 NCAA qualifier Central Washington.